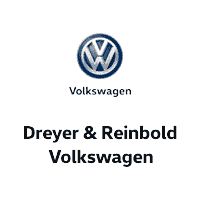 If you’re looking for a new Volkswagen vehicle in Greenwood, IN, look no further than Dreyer & Reinbold Volkswagen. We have the latest 2018 models like the Volkswagen Atlas, Beetle, CC, Golf, Golf GTI, SportWagen, Jetta, Passat, Tiguan and more. If you’re in the market for a new VW, Dreyer & Reinbold Volkswagen has the best deals on new Volkswagen vehicles in the Greenwood, Carmel, Zionsville, Beech Groove, Lawrence, Franklin, Mooresville, Speedway, Shelbyville, and Indianapolis, Indiana area. Be sure to check out our newest Volkswagen specials for big savings on the latest models. Looking for even more savings? Get a like-new Volkswagen for the price of a used Volkswagen with our certified pre-owned Volkswagen for sale.